2006 & 2010 Olympic Gold Medalist, snowboarder Seth Wescott. Photograph 2010 © Neil Hastings. Yesterday Mountain Lodge Telluride was host to a photoshoot of the 2006 & 2010 Olympic Gold Medalist, snowboarder Seth Wescott, for Bollé Performance Eyewear. What a great subject and a super nice guy! We decided his shoot was reminiscent of Dos Equis' frontman, The Most Interesting Man in the World, so we at Mountain Lodge are dubbing Seth 'The Most Interesting Man in Telluride'! Anyway, be your own judge. And in-keeping with the competitive nature of this week's LG FIS Snowboardcross (SBX) in Telluride, we at the Mountain Lodge encourage anyone to submit your opinions! 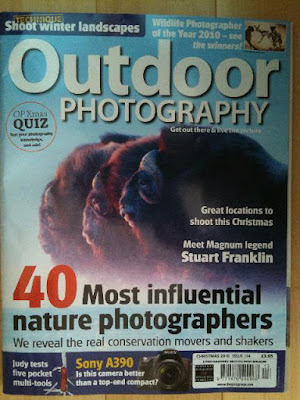 "40 Most Influential Nature Photographers - We Reveal the Real Conservation Movers and Shakers"
British magazine, Outdoor Photography, has selected the top 40 nature photographers from around the globe who go the extra mile to use their images and time to help highlight (and even fix) some of the most pressing environmental and conservation issues. INFLUENCE: Robert's photographs and his personal activism have helped to define photography's successful use in conservation advocacy. He was named by Audubon magazine as one of the 100 people who 'shaped the environmental movement of the 20th century' and he is a lifetime trustee of the Alaska Conservation Foundation. CURRENT PROJECTS: "I am working to protect the salmon fishery of Bristol Bay from a proposed Canadian mine called the Pebble." 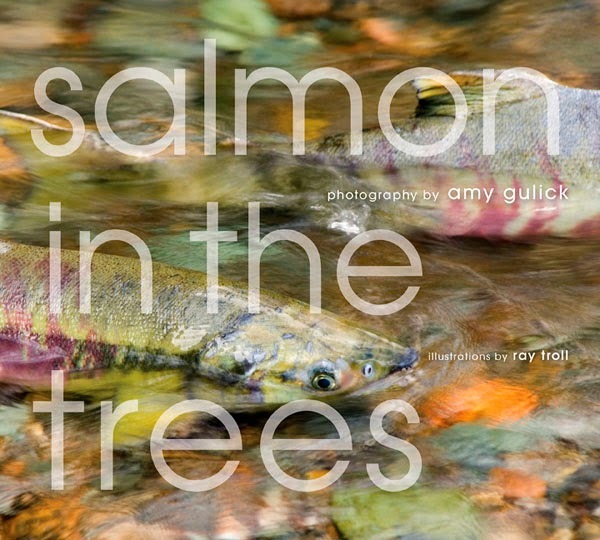 MOTIVATION: "My work has never just been about pictures of nature. 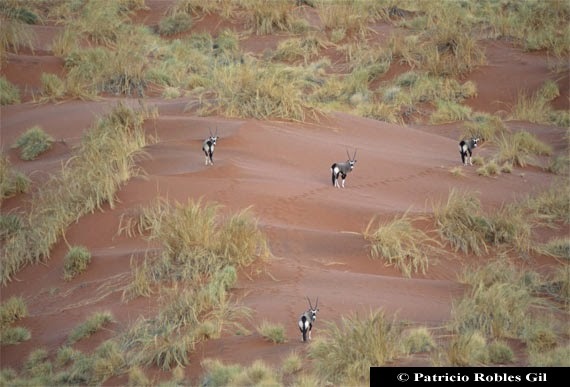 My photographs seek to define wild places so they can be more fully understood." Most of you know that since the mid-1980's I have spent some part of every year in Alaska, ­sometimes as much as half the year. I love Alaska, and in my life it is the greatest wilderness experience I have ever had. It is bigger and wilder than most of us can imagine. 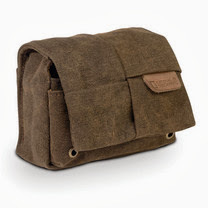 That is the beauty of it, but also the factor that intimidates many potential visitors. If you do not book some lame cruise or excursion packed with clients that want complete luxury and protection, how do you experience the best Alaska has to offer, mixing the wild with the civil? There are two choices for me, the incomparable CAMP DENALI in Denali National Park and The Boat Company in the Tongass rainforest. I address The Boat Company/Tongass in another post on this blog, so for now I hope to turn your attention to CAMP DENALI. It hard to imagine the scale of Denali National Park and the experience it provides. At more than 6,000,000 acres! 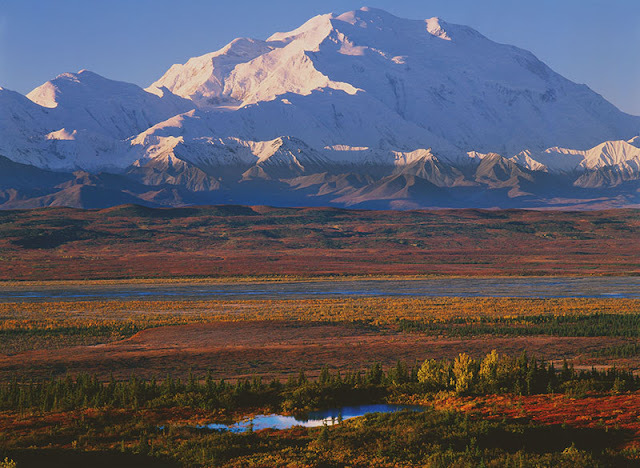 and containing North America's highest summit, Denali park is unparalleled in our National Park system ­ it is the crown among the jewels. It is also VERY big and VERY wild! If you come to Denali as part of tour group, you will discover (to the surprise of many) that you will stay in lodges outside the park, you will NOT see the summit on a daily basis, and to really see anything, you will have to take an all-day bus ride from your lodge EVERY day. That bus ride likely won't take you much more than 1/2 way into the park! You will see animals, but you will have little time to enjoy the experience because you are on a schedule. 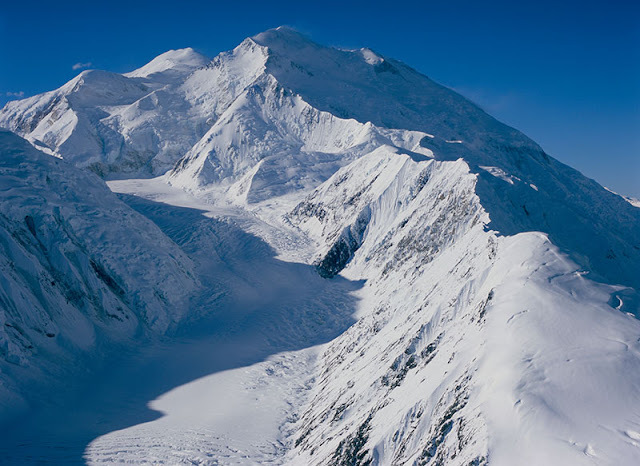 There is ONLY ONE WAY to truly "get" this amazing wild place ­CAMP DENALI! 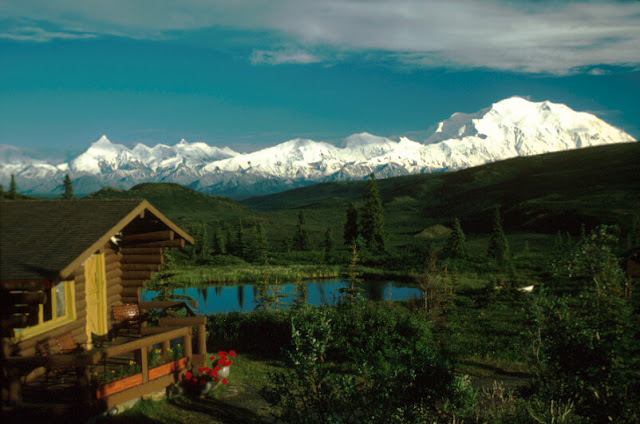 CAMP DENALI was homesteaded and founded in 1951 by two Alaskan Pioneer women Celia Hunter and Ginny Wood, and they knew what they were doing! 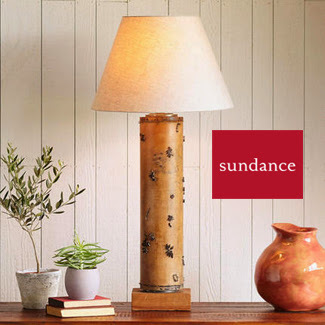 Constructed and added to over many years, CAMP DENALI features cozy, hand-built log cabins warmed by classic wood stoves and lit by propane lamps. Each cabin is separate from the others by some distance, and each has a spring fed water source plumbed to a spigot immediately outside with a discreet privy quite close by. The cabins have been designed for the view, so they feature huge glass windows facing Mt. McKinley and on a cold night under a full moon, should the summit emerge from it's cloud cap, you can enjoy the sight from your snuggly, quilt-covered bed. There are several "commons" facilities that include very comfortable men's and women's showers, a natural history room with a piano, a "library" and gathering room where evening programs are held, and a spectacular new dining room. The dining room windows also face the summit and look over a nearby pond into which a moose and calf wander on the 1st breakfast of my most recent visit. My two children went crazy, as did the many others kids that were there (adults included in this category). The moose/calf were un-threatening, enjoying their breakfast from the lake greens, and VERY close for all to see. Needless to say, the photographers among us were quite happy as well. Meals in the dining room feature organic gourmet cooking, often with regional items and there is always a vegetarian plate. My two children consulting with one of the Camp Denali naturalists about "stuff" they found. Given this lodge's historic status and long relationship with the National Park Service, it can provide for the public like no other facility in the park and that is what makes the experience so rich. NO other lodge, in or out of the park is licensed to offer daily guide service in the designated Wilderness region of the park, the most scenic, wild, pristine and mountainous areas. 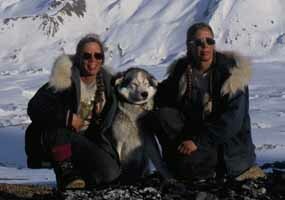 At CAMP DENALI there are excursions EVERYDAY, led by highly experienced guide/naturalists. These trips are offered at differing levels of exertion so that everyone can participate. Often guests will ride out in a bus to spot animals, do a hike, have lunch along the route, watch more animals, and return late. Did I say, "watch animals!?!" You had better believe it! In my many years of staying at CAMP DENALI I have seen countless Dall's sheep, and caribou; my children and I watched two bull moose battle it out until one backed the other into a nearby pond and nearly drowned it; also with my kids, a moose and calf strolled through camp at twilight to the delight of numerous guests -- in their pajamas -- that followed them around at a safe distance; my photography class came upon a lone white wolf, sunning itself within 50-yards; a black, yellowed-eyed wolf digging for squirrels within 50FEET of the bus (one student using a telephoto got a full-frame shot of JUST the eye); a grizzly bear with two cubs that emerged from the bush onto the road, SO close that those with big lenses could NOT get the shot; and, a truly unique experience at some distance, a pack of wolves attacked a grizzly bear and drove it off, defending their territory. You will NEVER have experiences like this from such a safe position anywhere else in the world, period! All of this happens because the guide staff is so good. They are great 'people-people', always interacting well with the guests and placing the guests first. Most are naturalists and park historians who always have interesting information to relate, and they connect with both adults and children. In the shot above, my group had taken a lunch break after the morning hike, and to aid digestion we are now "tundra-rolling" -- ­ going head-over-heals down a spongy tundra slope. The silliness of this became so infectious, that with the guides cajoling, even the adults participated ­-- THAT was funny! For Display Use Only, No Permission to Reproduce in Any Form. 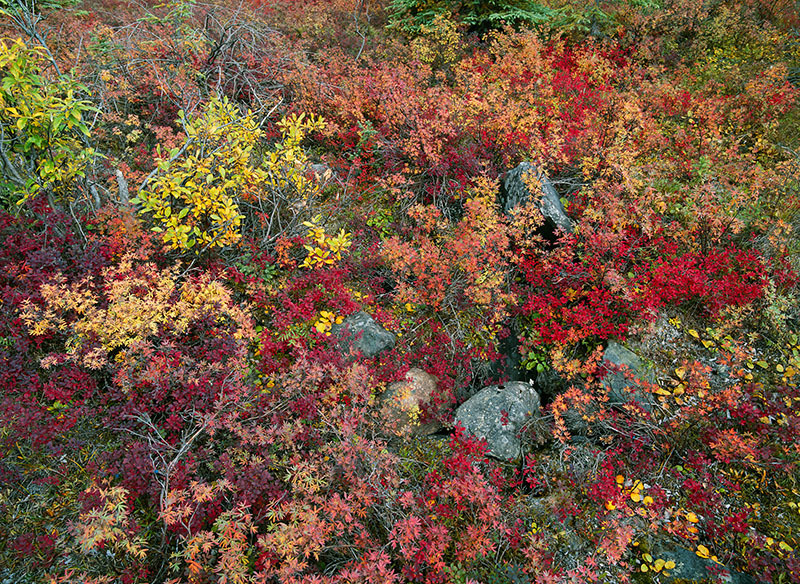 As a photographer, don't even get me going about the astounding -- albeit very brief -- fall color. The tundra may not be the same as the trees of New England, but the show is easily as good. CAMP DENALI has canoes for paddling about on nearby Wonder Lake in full view of the summit and its supportive range, and there are mountain bikes as well. 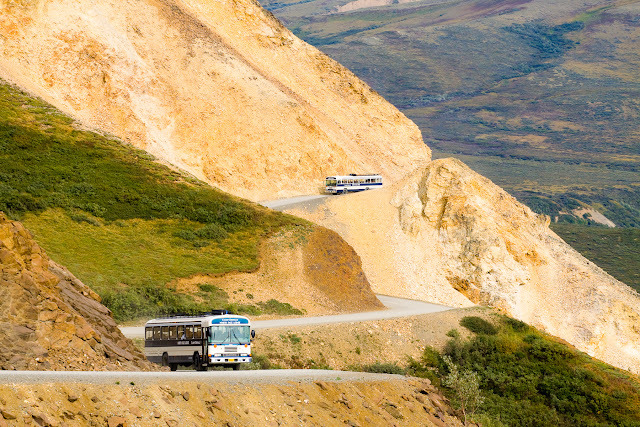 One great trip is to depart on the bus to the National Park's Eielson Visitor Center, offload at the visitor's center, and bicycle back to CAMP DENALI. There is also flight seeing offered from nearby Kantishna Air Taxi (link: www.katiar.com), whose van will pick you up at CAMP DENALI and deliver you back. Owner Greg LaHaie and his crew are knowledgeable pilots who have flown this area SAFELY most of their careers, so even for the flight-timid, this is a "must" recommendation. If you are a photographer, these pilots are also photo-savvy, so this will be an experience unlike anything else you have ever done, and they will help you get THE shot. Lastly, but not least, are the evening programs that are held in the common library. I have spoken there many times during my numerous visits, but there are always multiple presentations during any one stay, and they are all memorable. Most of the presentations are given by staff naturalists, however Camp Denali's 'Special Emphasis Series' also brings in visiting speakers. Trapline Twins © 2005 Vanessapress, Fairbanks. My last visit included a presentation from the twin sisters Miki and Julie Collins who live at the remote edge of the park and are known for their authentic subsistence lifestyle. The pictures and presentation were Alaskan humor at its best, and the photograph of them in their relatively small, hand-built cabin, sleeping with their ENTIRE dog team of 15+ huskies would be viral if posted on the net. These evenings are not to be missed. For my money and time, CAMP DENALI is one of THE best Alaskans experiences you could ever hope for. Follow the links to learn more, see price packages, and lengths of stay. 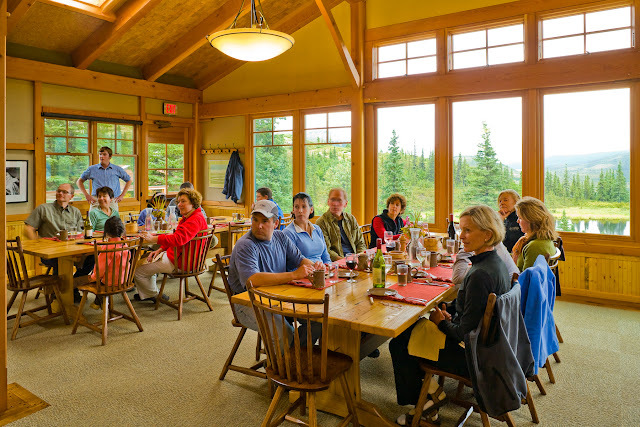 There are other ways to encounter this park, but CAMP DENALI provides a combination of elements ­ comfort, guidance, learning programs, a point of view, camp camaraderie, and a hot shower/great meal at the end of the day ­ that the others cannot touch. If you only get to Alaska once in your life, and you are willing to "rough-it" just a little (very little) this is the trip! When you book a trip at CAMP DENALI, be sure to let them know you read about it here on my blog! 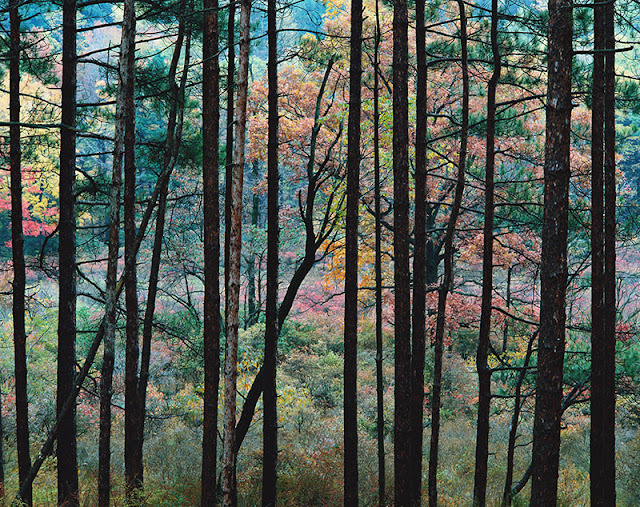 In 2010, American Photo magazine featured Robert Glenn Ketchum in their Masters series making him only the fifth photographer they have recognized this way in 20-years of publishing. Of the five honored, Henri Cartier-Bresson, Richard Avedon, Helmut Newton and Annie Liebovitz, Ketchum is unique because his imagery is based almost exclusively in the natural world. For 45-years Ketchum's fine prints, and bookmaking, have addressed critical national environmental issues while at the same time helped to define contemporary color photography. His advocate use of photographs and the media has inspired successive generations of artists to work on behalf of social and environmental justice, and led to the creation of the International League of Conservation Photographers (iLCP), of which Ketchum is a Founding Fellow. It has also resulted in Audubon naming Ketchum one of the 100 people "who shaped the conservation movement of the 20th Century." Ketchum has been a longtime friend of The Palm Beach Photographic Centre, and so it is with great pleasure that the Centre will acknowledge this designation from American Photo magazine by hosting a retrospective exhibit of Ketchum's career, January 2-April 3, 2010. The exhibit is timed to open during , a weeklong celebration of photography that the Centre has been hosting for twenty years. While an undergraduate at UCLA in the mid-1960's Ketchum studied with Edmund Teske, Robert Heinecken and Robert Fichter, three very groundbreaking, non-traditional image-makers. Their influence clearly defines a whole other aspect to Ketchum's work far more experimental than those images he has produced on behalf of conservation. 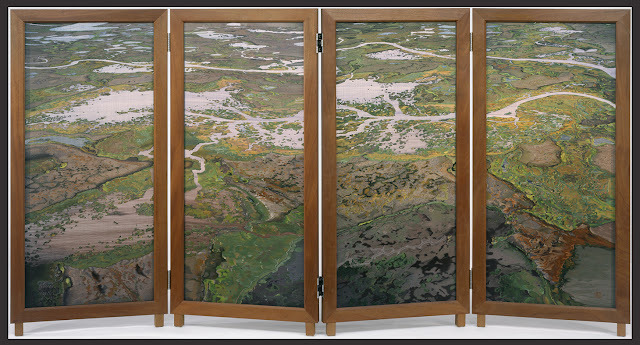 In the early '80's, Ketchum entered China through the UCLA-China Exchange Program, and began to collaborate with some of the historic embroidery guilds of Suzhou to develop complex textiles based on his photographs. Some of the most recent examples of this embroidery and loom weaving, many of which took years to complete, will be included in this exhibit, as will new designs from the digital darkroom that Ketchum has recently developed for the embroiderers. 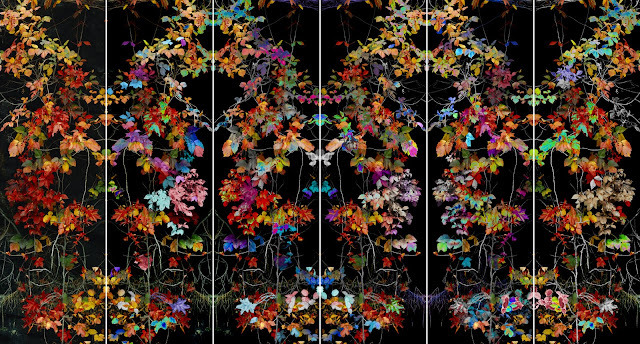 Ketchum's distinctive, dimensional prints are in numerous collections including the Museum of Modern Art (NY), the National Museum of American Art (DC), the Museum of Contemporary Art, Los Angeles, and the Metropolitan Museum of Art (NY). Significant archives (more than 100 images) have been acquired by the Amon Carter Museum (TX) and the Huntington Library and Gardens (CA), and substantial bodies of work can be found at the High Museum (GA), the Los Angeles County Museum of Art, the Akron Art Museum (OH), Stanford University Art Museum (CA), the Herbert F. Johnson Museum of Cornell University (NY), and the National Museum of American Art. It is seldom that The Centre has the opportunity to feature a photographer that embraces such a diverse approach to photographic image making. In appreciation of Ketchum's long friendship with PBPC and his well-earned reputation as an inspiring teacher, during FOTOfusion The Centre will present Ketchum with their annual Mentors Award. 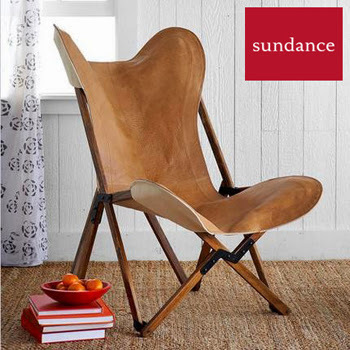 In turn, Ketchum will honor a relatively unknown photographer with the Rising Star Award. Ketchum has selected Miguel Ángel de la Cueva, a young Fellow from the International League of Conservation Photographers who is doing remarkable work in Mexico and Baja. Ketchum would also like iLCP photographers to become regular attendees and contributors to FOTOfusion, so he is introducing several iLCP Fellows at this year's festival and they will be lecturing, exhibiting, and signing recent books. Get out of the cold of winter. Come to FOTOfusion in West Palm Beach, take in a little sun... and some great photography! One final bit of news is that my social media team and I have spent the past few months redesigning my website and today it's finally ready to be revealed! A couple of things I like most about my new site are that while it showcases my art nicely, it also coordinates my social media network, and even has video capability! 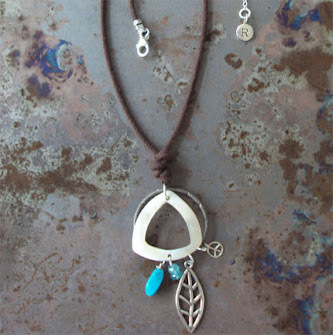 In addition, my new site now hosts an online store... just in time for the holidays. 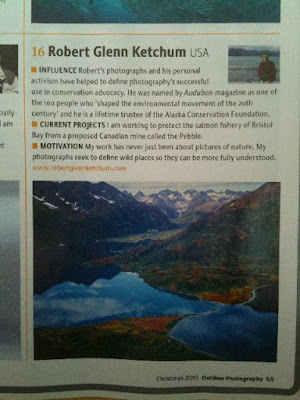 It would mean the world to me if you'd stop by the new site at some point and check it out: www.robertglennketchum.com. For millions of years we evolved within wilderness. It is interesting, now, how distant is that wild world and with what disregard it is treated by us city dwellers. In some ways this is understandable because there is no modern human comfort in wild nature, and some of the animals there can eat you. 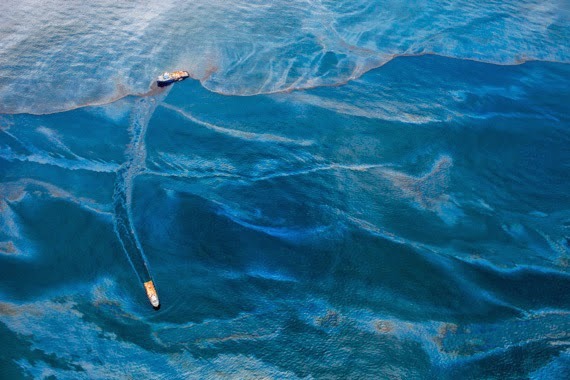 Oil covers the surface of the Gulf of Mexico on the vicinity of BP's Deepwater Horizon spill source, June, 17, 2010. Photograph © Daniel Beltrá for Greenpeace. On April 20, 2010, the Deepwater Horizon drilling rig exploded in the Gulf of Mexico and became the world’s largest marine oil spill in the history of the petroleum industry. Methane gas, under extreme pressure, escaped from the well and shot up the drill column causing an explosion that engulfed the platform in fire. Despite multiple efforts to douse the flames, the platform, weighing 58,000 tons, sank one mile to the ocean floor on April 22, 2010. Eleven crewmen died, and 17 others were injured. Secretary of the Interior, Ken Salazar and the Department of the Interior have given Robert Glenn Ketchum the 'Partners in Conservation Award' for his participation in the Southwest Alaska Salmon Habitat Partnership. 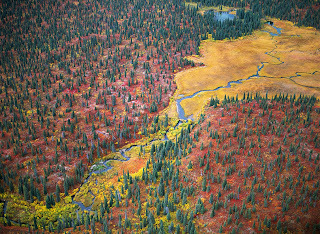 Ketchum's Aperture book "Rivers of Life: Southwest Alaska, The Last Great Salmon Fishery" published in 2001 began to define this little-known but spectacular, undisturbed habitat to the public as part of a now decade long campaign to protect the fishery and the land-based ecosystem that supports it. Ketchum followed with a 2nd book, "Wood-Tichik: Alaska's Largest State Park" in 2004, and a national traveling exhibit in 2005. During that same period a grassroots coalition has grown to considerable proportion and formed the more-than-70 individuals and companies recognized by this award. The Obama administration has just recently taken Bristol Bay out of consideration for oil and gas development, and so the first of two threats has now been defused. Thank you President Obama and Secretary Salazar for recognizing the value of this astounding natural resource. Now I hope you will consider placing the entire fishery into a permanent reserve. Onshore another threat to the habitat looms ever greater, though. 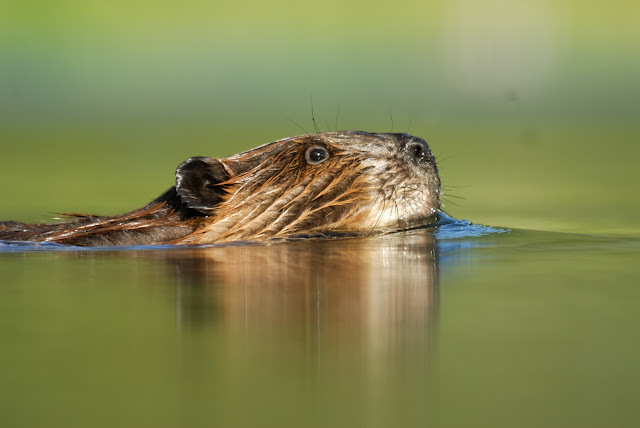 The Pebble mine proposal is a disaster in the waiting for fish, animals and parks alike, so it is now time to turn our total attention to this fiasco, and see that is stopped once and for all.